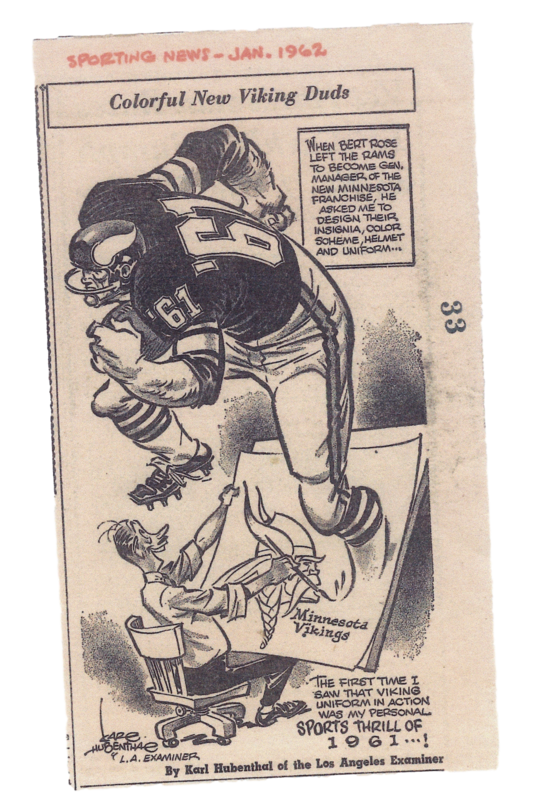 In January of 1962, cartoonist extraordinaire Karl Hubenthal drew a cartoon about how he had designed the Minnesota Vikings’ uniforms. If you’ve never heard of Hubenthal, and/or if you had no idea that he’d created the Vikes’ inaugural look, I have a treat for you today over on ESPN — the lost story of how a guy from Los Angeles created the design that’s now synonymous with Minnesota. It’s a lot like my recent piece on the untold story behind the Astros’ rainbow design. Check it out here. This ESPN piece, incidentally, would not have happened if not for reader Lukas Hoffland, who tipped me off to a key clue that helped me piece the story together. Big thanks to him, from one Lukas to another. Winter Classic teasers: The Rangers and Sabres are set to unveil their Winter Classic jerseys this afternoon, and the Sabres gave some hints by releasing some teaser images yesterday afternoon. Looks very promising, no? Looking forward to seeing the whole thing. Also, kudos to the Sabres for including an image of the pants, and thereby acknowledging that there’s more to uniforms than just jerseys. Terry Glenn follow-up: In yesterday’s post I mentioned that former Cowboys WR Terry Glenn, who was an Ohio State alum (and who died in a car crash earlier this week), managed to sneak a buckeye decal onto the back of his helmet for a game in 2006. So wearing the decal wasn’t actually Glenn’s idea, as I had long assumed. It was actually a motivational tool by Parcells. All very interesting, especially since Glenn is the player Parcells once referred to as “she” when they were both with the Patriots. Looking ahead to Friday: In keeping with the spirit of the season, we’re going to have a new Uni Watch shirt that will only be available from Black Friday through Cyber Monday. Much like this year’s Purp Walk shirt, it will have lots of extra bells and whistles (including a magnet!). Trust me, it’s really good. Details coming on Friday. New advertiser shout-out: Despite the spread of Google Calendar and other online datebooks, printed calendars are still a big industry. If you still use them, I suggest that you do your calendar shopping with Asgard Press, which offers a slew of very cool-looking college football-themed calendars, like the Auburn design shown at right. (They also have some cool pop culture-themed calendars, if you’re more into that.) And as you can see from their new ad in our right-hand sidebar, you can use the checkout code “UNI25” to get 25% off your order. • In case you missed it last week, you can get a free two-week subscription to Rep the Squad, the company that lets you rent jerseys instead of buying them, here. • You can get 3-D uniform templates for your uni concepts sportstemplates.net”>from SportsTemplates.net. • And you can get all sorts of cool sports-related gift items (wallets with linings made from game-used jerseys, cufflinks made from baseball leather, etc.) from our friends at Tokens & Icons. My thanks, as always, for considering our advertisers. 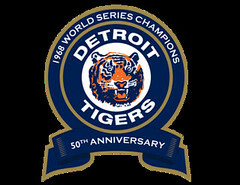 Baseball News: The Tigers will reportedly honor the 50th anniversary of their 1968 World Series championship with this logo next season [but to my knowledge, there are no plans to wear it as a patch on either the cap or the jersey — PL] (from Dave Raglin). 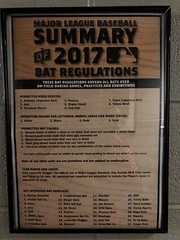 … Dave also toured Nationals Park recently and found this poster in the locker that describes the rules and regulations for MLB bats. … Phillies SS Dickie Thon appears to have been wearing a yellow undershirt in this 1989 shot. … Remember Jeff Callahan, the guy who created a baseball version of the old paper football game? He’s added a new ballpark to his stock of game surfaces: Sportsman’s Park. Pro Football News: The Chargers will wear powder blue when they take on the Cowboys on Thanksgiving this Thursday (from Phil). … Great spot by Matt DeMazza: Check out the pair of legs behind the ball carrier in this photo. 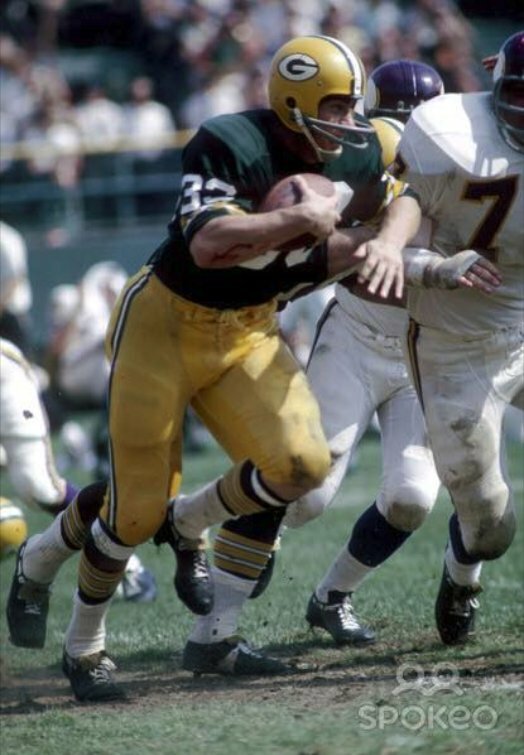 Judging by the square-toed kicking boot, those legs likely belong to Hall-of-Famer Jerry Kramer. He’s best known for playing guard for the great Packers teams of the ’50s and ’60s, but he also often handled kicking duties. So, when Kramer was kicking, did he play the entire game at guard with one kicking shoe? Or is the photo an exception to the rule? … The Titans have worn seven different uni combinations this year, tying a team record (from Titans Uni Tracker). 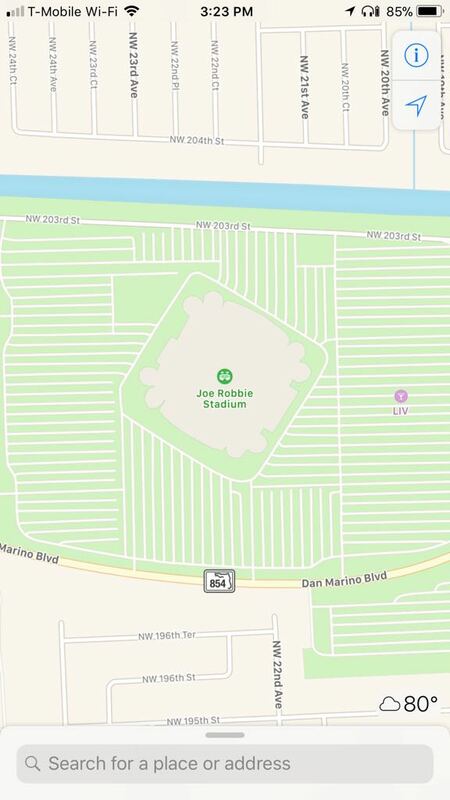 … Apple Maps gets it, still calls the Dolphins’ stadium Joe Robbie Stadium (from @swizzcheeze). … A man wearing a Browns Tim Couch jersey can be spotted in the background of this report from Zimbabwe (from @TravisJames4U2C). … ESPN has some logo inconsistencies with the Dolphins in their “Playoff Machine” feature (from @light_beans). 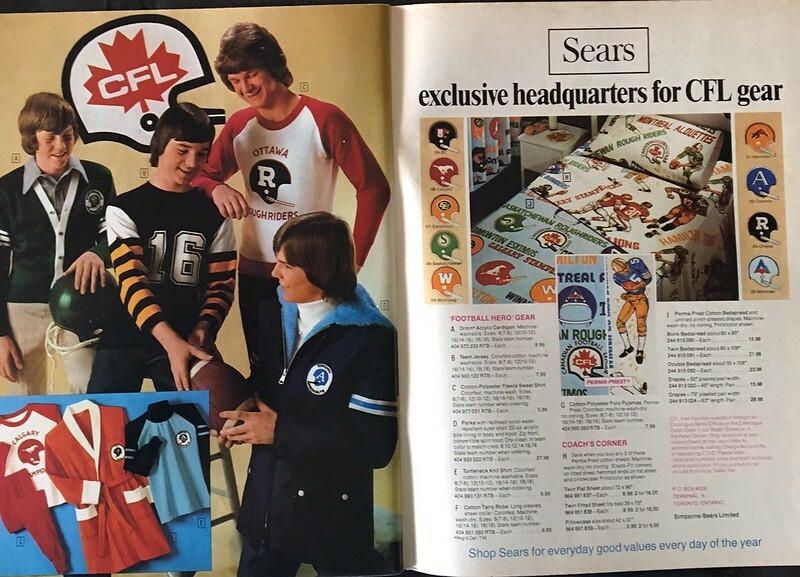 … Miles Filbert found some old CFL ads in 1970s Sears catalogues. … Several sources told The Washington Post that if the NFL anthem protests continue, the owners will likely decide to have the anthem played while the teams are still in their locker rooms. That was the standard procedure until 2009, when players were first required to be on the sidelines for the anthem. 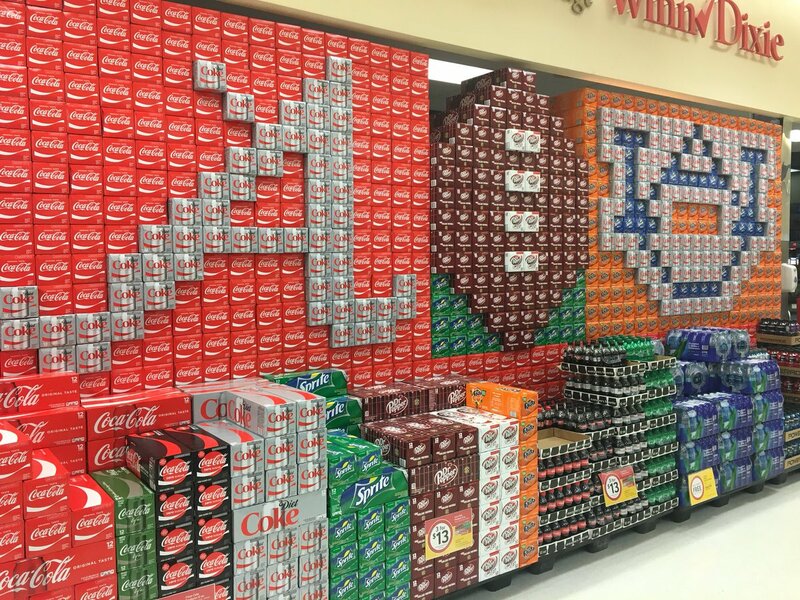 College/High School Football News: Nice Iron Bowl soda display spotted at an Alabama Winn-Dixie (from Roger Kirk). 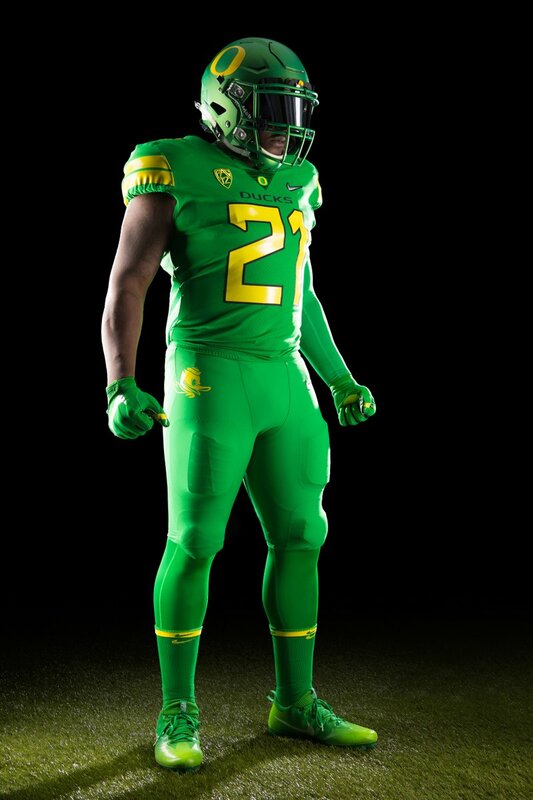 … Oregon will wear mono-green against Oregon State this weekend. 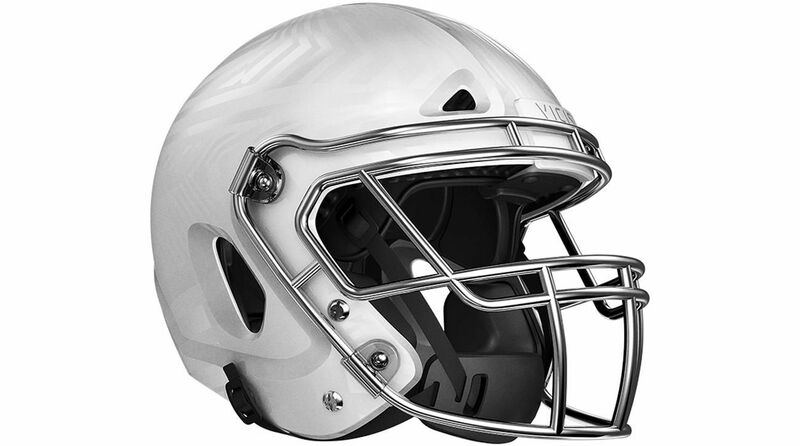 … Notre Dame will equip the majority of its players with the Vicis Zero1 helmet next season. More on that here. 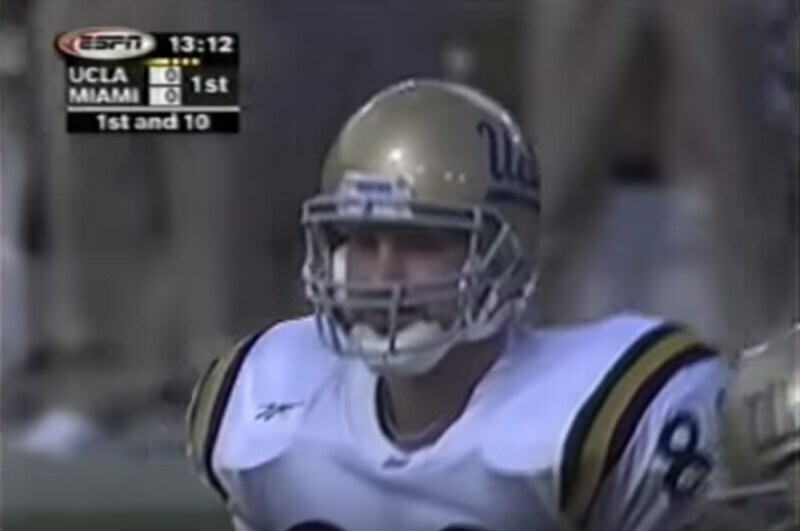 … Juan F. found some marker’s mark inconsistencies with UCLA’s 1998 jerseys. The logo is centered on some jerseys and applied to the shoulders on others. 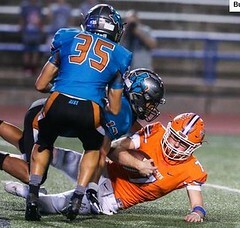 … San Angelo Central and El Paso Pebblo Hills went color-on-color in a Texas high school playoff game last Friday (from Dennis Jones). … The officials in last night’s Akron/Kent State game were wearing jerseys from two different manufacturers. Hockey News: Here’s an interview with a man who was tasked with painting portraits for the top 100 players of all time in conjunction with the NHL’s 100th anniversary (from Phil). 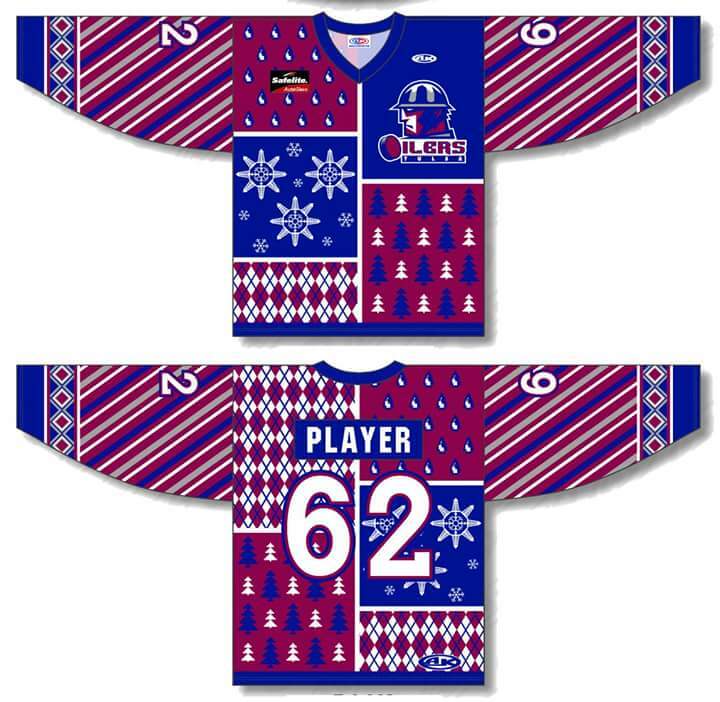 … The Tulsa Oilers of the ECHL will wear ugly sweater uniforms on Dec. 16 (from Mike Iles). … The Cincinnati Cyclones and the Toledo Walleye of the ECHL wore Teenaged Mutant Ninja Turtles uniforms last Friday (from Brian Henke). Soccer News: Nissan will advertise on USL side Nashville SC’s kits for the next few seasons (from Rhys McManus). … A man wearing a Manchester United jersey can be spotted in the background of this report from Zimbabwe (from @TravisJames4U2C). … Wigan Athletic striker Ryan Colclough scored two goals last night and then left the game so he could rush to the hospital in time to see his son being born. He made it — while still in uniform (from Thom Gibbs). Grab Bag: No. 34 is big in Houston — the Oilers’ Earl Campbell, the Rockets’ Hakeem Olajuwon and the Astros’ Nolan Ryan all wore it. 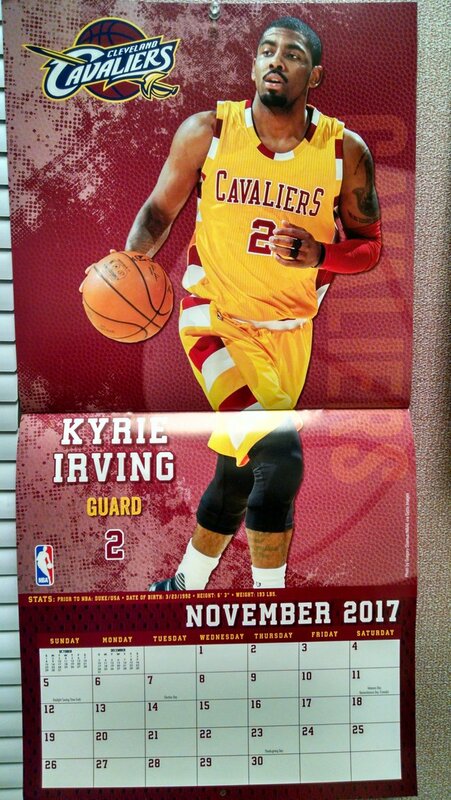 That’s why the Houston Sports Authority will honor the number and the players that wore it in February (from Ignacio). … The New York Times has a feature piece on how Fanatics has dominated the online athletic apparel market. … A limited sneaker release caused an uproar in Richmond, Virginia yesterday as dozens of people “bum rushed” the store (from Tommy Turner). Looks like the tagging in the “You can get 3-D uniform templates” item is off. No Thanksgiving time with your Mom? Not this year. I always spend either Thanksgiving or Xmas with my family, but not both. This year it’ll be Xmas (which is also my brother’s birthday). Was this something that got deleted from the Ticker? The referees wearing two different manufacturers for their uniforms is not unusual at all in the lower levels. I referee soccer at the youth and adult amateur levels; most of us wear gear made by Official Sports International, but there are a myriad of other manufacturers making the same stuff (Score Sports being the most well-known). It’s only at the professional level where the referee gear is made by just one supplier. Right, but this wasn’t “the lower levels.” It was a game between a pair of FBS schools! Jimmer Vilk might argue to the contrary. Yeah, they’re (I’m Still Calling It) Division 1-A in name only. For most FBS conferences, the officials are wearing Under Armour branded uniforms. Aside from the logo, the font used for the position lettering is slightly different, most obvious with the Referee’s R, where the tail of the R is vertical, instead of at an angle with other brands. The brand that’s not Under Armour is Honig’s, a family-run officials’ supply business that recently was bought out. Another visible brand (not in this image) is Smitty. There are a few reasons why the Center Judge (C) may have a different brand jersey: he could be a fill-in from FCS, where the UA uniforms are not mandatory or widely distributed; this may not be his normal position, and he had to borrow the jersey; it could even be an older jersey used for cold weather (different materials). The UA uniform requirements have not yet made their way down to Division III, where I officiate. Most of us are still wearing Honigs or Smitty. The UA equipment is not available through regular channels, most likely due to its exclusive contract with FBS. I can’t wait for the OSI agreement to end. Expensive, low quality + ugly, but you have to wear it to advance through the referee ranks. And I agree, Sock. Very annoying. USSF should strike a deal with KwikGoak or Nike. The Reggie White thing looks to be some sort of Video game card, maybe instead of his number that’s his so called overall? Just a guess not positive, love reading these everyday! Keep up the fine work. That was a bit of laziness to assume the Eagles screwed that up. Took 35 seconds to clear it up. If only the Vikings would permanently go back to that look. Great piece, Paul! Fascinating stuff. It’s amazing how ahead of his time Hubenthal was with his sock and sleeve striping concepts. As hard as it is to find photos of Kramer’s feet during a regular offensive play, I couldn’t find any evidence that he wore the square-toed shoe all the time. I wonder if the photo could be of a blocked field goal attempt that the Packers recovered and are trying to advance. ???? Maybe a fake field goal?? Cheaper? These fast break jerseys are $89.99! Cheaper than the Nike authentics. Re: sneakerheads traveling to plunder small businesses for shoes. Indeed, Gurf. Classic 1st World Problem, especially the confusion of “need” with “want”: “I actually need the sneaker. I need it. Christmas is coming. I’m going to wear it, go out, look nice for my mama.” As Bugs Bunny would say, what a maroon! BTW…”Gurf”…as in Morlix, perhaps? Fine guitarist & songwriter. Gurf Morlix got a mention on Mike Judge’s excellent “Tales from the Tour Bus” series on Cinimax. I think it was on the Blaze Foley episode. Paul, great reporting on the Vikings uniform design. I checked the Gridiron Uniform Database and according to that the Vikings did not adopt the UCLA-type shoulder stripes on their away jersey until 1969, their ninth season. However it was part of Karl Hubenthal’s original 1961 design. I wonder why that was delayed. I guess we’ll never know. These original Vikings uniform drawings (if they are “original” had to be from 1960 or ’61) are interesting in that they depict the white Viking uniforms as having the loops shoulder stripes. Of course we know now that the Vikings didn’t wear the looped shoulder stripes on field until 1969. Did Hubenthal submit the shoulder loops, the Vikings then decided to go a different way with the sleeve stripes on the white uniforms for 8 seasons, and then go0 back to these original designs? It was Ithacating this morning, so safe driving. Couch jerseys were a Goodwill staple in the Akron area for *years*. Only recently have they stopped appearing on store racks. Maybe the stores couldn’t sell them and donated them overseas. Aren’t they saying that about [insert Brown’s QB name/number here] every year. 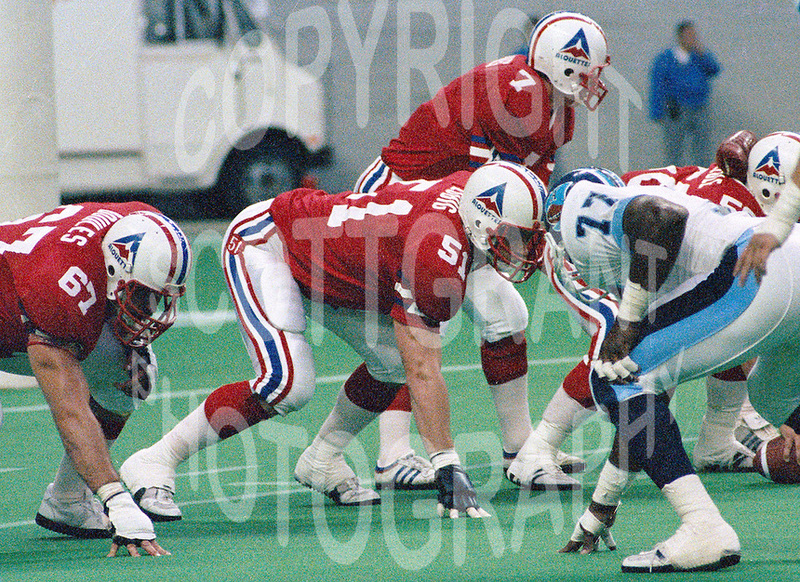 The exact wrong way to start a rookie QB’s career, in an expansion team, behind an expansion OL. Kudos to Jeff Callahan! Great work on that DIY ballpark. How many do you have altogether now? This new park is incredible. I feel like I’ve finally nailed the out/hit areas. Hockey – “Teenaged” – there’s no d in Teenage Mutant Ninja Turtles. 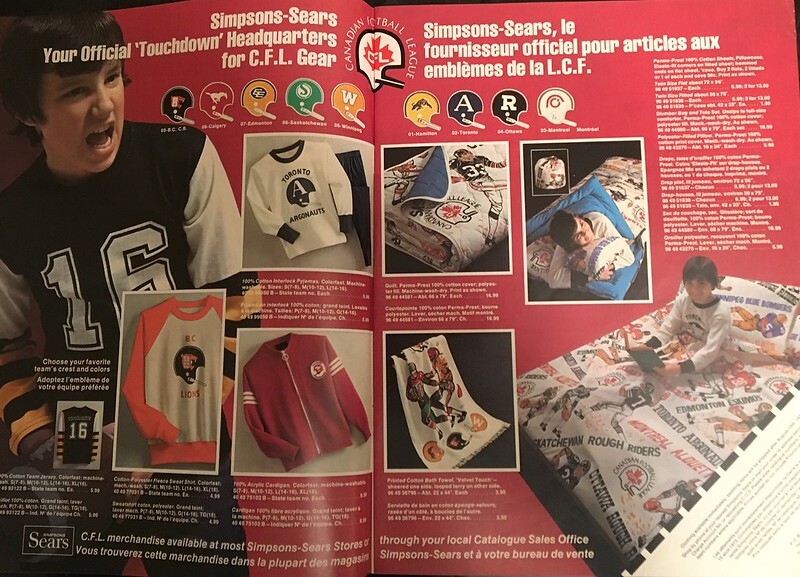 Enjoying how Canadian kids could leaf thru CFL sheet sets in their Dream Book the way us kids south of the border remember the NFL “all teams” sheets. I sent the ads in, they’re actually not from the Sears catalogue. They’re from gameday programs back in the early 70’s. So…the white Vikings jerseys originally had UCLA stripes but they never wore them until 1969? Even though they had the same name, Ottawa’s Rough Riders were two words, Saskatchewan one. In the ads, they bounce all over the place. The bed with child has both as two words. The made bed has two words in green on the pillow and one word on the bedspread. One more very underrated uni-related item: in 1969 they started going without the yellow outline on numbers. THAT is what I think about with the Purple People Eaters – nothing fancy, nothing gaudy, all businesslike. Packers, Steelers, Vikings: They could outline in yellow but didn’t. It’s one thing I really like about the current Vikings set, the numbers (even with the little horns) are plain white and purple. I sent the ads in. They’re not from Sears catalogues. They’re actually ads from the gameday programs from back in the day. Absolutely loved your story on Karl Hubenthal and the Vikings. It’s interesting how information before the internet just isn’t as readily chronicled. Glad this account will be remembered. Also, I know Paul is no fan of purple, but growing up I always liked the Vikings uniforms and their “Purple People Eater” nickname. At the time, maybe the only professional team with purple. The Lakers switched to purple (forum blue) in 1967 with the move to the Forum, and the Suns were founded in 1968. I’m thinking the Rockies were the first to use purple in baseball in 1993. Dickie Thon was with the Padres prior to the Phillies. Maybe a Padres undershirt? Those Vikings “V” sleeves are great! Especially version A, with the purple numbers over white. Too similar to the Cowboys jerseys from the year before? At the time, I would veto those as too copycat. Why is Buffalo wearing a white jersey to their home game on January 1? Is the NHL going back to white at home? Not saying its the reason but the Sabres also wore white at home for the original Winter Classic ten years ago. Also not saying it’s a reason why, but after an ivory Winter Classic jersey at Philadelphia and a white Stadium Series jersey at Yankee Stadium, it looks like the merchandisers will give Rangers fans a new excuse to buy a new and different (probably) blue jersey. Really, the only reason the Rangers are the “road” team is because of money. MSG has some weird property tax exemption that’s dependent on the Rangers and Knicks playing all of their home dates at the Garden, and could thus be jeopardized if they play neutral-site games; and anyway, it’s cheaper for the NHL to reimburse Buffalo for the lost home date due to having much lower ticket prices than the Rangers. Thank you for this series of reasonable theories to a question I only asked because it grinds my gears that the Rangers are the showcase team for a game on Long Island. You can show Houston’s love for number 34 on a t-shirt. Regarding the Vikings, local lore from up here in Duluth says the color scheme was taken from Superior Central HS, the old high school of Superior, WI, hometown to Ole Haugsrud, who was part owner of the Vikings when the NFL returned to Minnesota. Ole Haugsrud was the GM (so to speak) of the Duluth Eskimos, and as the franchise faded there was an agreement Ole would be back in as an owner. I can’t find my copy of “Leatherheads” by Chuck Frederick, a local sportswriter, but it has extensive interviews on Ole’s contributions and his ownership. It’s nice to see Asgard Press a sponsor. They have really neat products. I have a few calendars and enjoy looking at the detail that artists put into something that had such a short shelf life. I’m not old enough to remember cool game posters like that being a thing but I love seeing them brought back to life. Also, Andy who works for Asgard Press is one of the nicest guys around. I’m not sure exactly how we started conversing with each other through social media but I have a vague recollection that it happened through Uni Watch. Why is there never a link to the Espn site when you reference it? I can’t find this story anywhere on Espn site about how the Vikings got their horns. Not sure what you mean. I provided a link to the ESPN story right there in the first paragraph of today’s entry. Reading the Vikings story was like finding out someone discovered a copy of the Declaration of Independence in a shoebox in the attic. Great work. 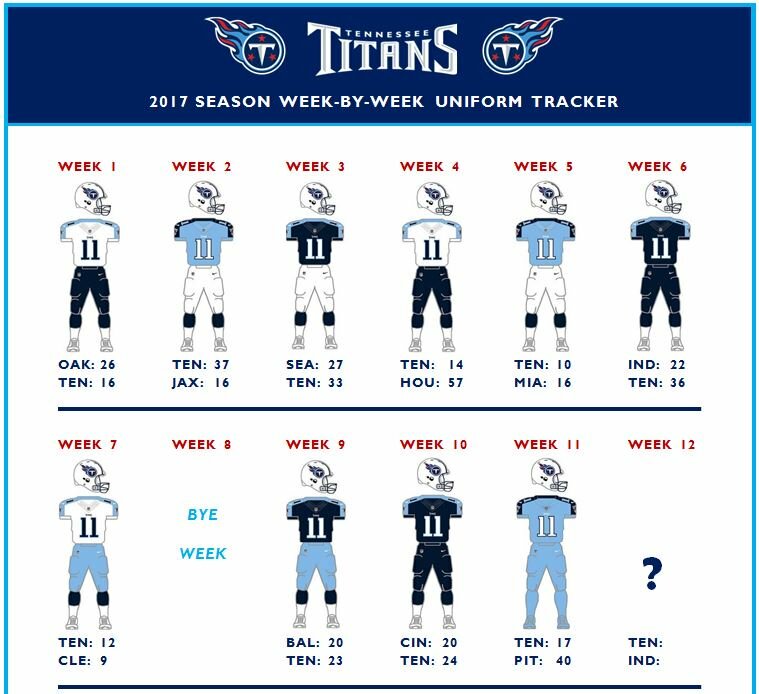 So the Titans have tried seven different uniform combinations, and still can’t find one that looks good? On a side light, Karl Hubenthal, (Hubby as he was known to us cartoonists), was, indeed, an amazing cartoonist and artist. My understanding is he created the (then) Los Angeles Chargers football uniform as well as the Vikings. Not saying you’re wrong, but what are you basing that on? As you can see in the interview I conducted with his daughter, she said she was not aware of his having designed any other uniforms. BTW, Paul, great job on the Vikings article. 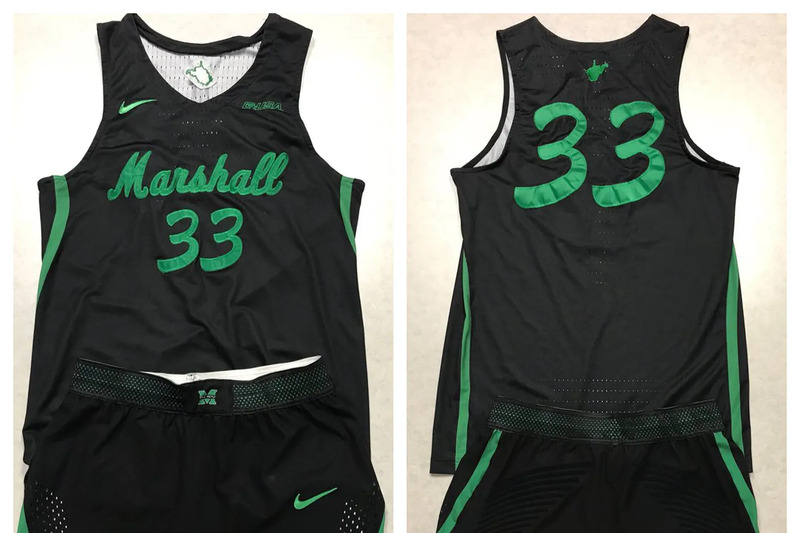 This is the kind of stuff that only UniWatch can provide and it’s appreciated by those of us who Get It. As for the Vikings, I’m admittedly not a huge fan of the helmet design, but its staying power in a uni-verse where teams are constantly “updating” their logos and helmets is worth admiring. The history behind the Vikings uniform design is one of the most fascinating pieces you’ve done. What a great journalist. Thanks for doing this! For the ESPN playoff machine, it isn’t just the Dolphins. The Panthers’ and Jaguars’ logos are clearly inconsistent as well. I would bet the Vikings and Browns are different as well, though that is harder to tell. Color on color high school games are legal in Texas. The University Interscholastic League plays by NCAA football rules, which allow color vs. color if there is sufficient contrast. Under National Federation of State High School Associations, which are the rules used in every state except Texas and Massachusetts, the visiting team must wear white and the home team a contrasting color. If the participants of a particular sporting event are not going to appear for the playing of the anthem, then it would seem time to consider dropping the entire ritual. Now I am in no way anti anthem, but what’s the point of playing it for a stadium full of people minus the actual event participants?